DVD now available - $10. together to save the historic 1879 Flummerfelt Barn. 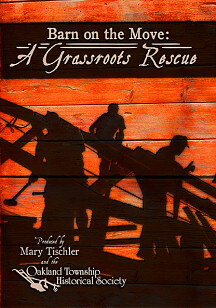 The OTHS hopes that this DVD documenting the "grassroots rescue"
historic structures and other community assets for the future. and cooperation between the various stakeholders in the community. who helped make the effort possible!